UNC Police chief and director of public safety Jeff McCracken is retiring. The university made the announcement in a message to the campus community on Friday. McCracken is retiring “after 30 years of creditable service to Carolina and the State of North Carolina,” the message reads. UNC Police have been criticized for a variety of issues over the last two years by protesters who have been calling for the removal of the Confederate monument known as Silent Sam from the campus. 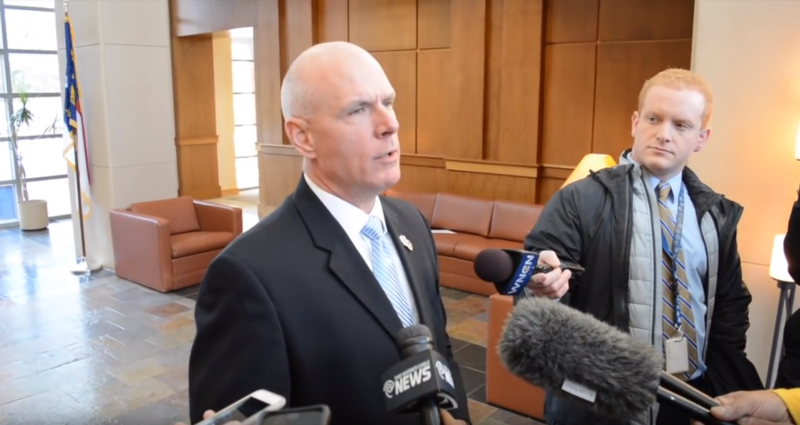 McCracken and associate vice chancellor for campus safety and risk management Derek Kemp issued a joint statement after it was discovered an undercover officer was deployed around the Confederate statue in 2017. The campus police force was also criticized by protesters for tactics implemented in the series of protests after Silent Sam was toppled in August 2018, before the remaining base was removed from campus in mid-January. But Friday’s letter – signed by Provost Bob Blouin and Jonathan Pruitt, the vice chancellor for finance and operations – praised McCracken’s service to the campus. McCracken’s retirement is effective July 1. A national search for a replacement will begin immediately.